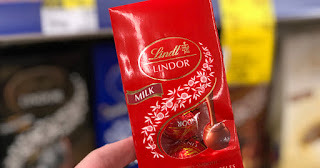 If you haven’t already, head on over to Coupons.com and print a coupon to save $1/1 Lindt Lindor Bag .8 oz or larger, valid through February 15th. You can use these at Walgreens to get two mini bags of these chocolates for FREE when you use this coupon! These are my FAVORITES!! But, I’m on Trim Healthy Mama and they aren’t exactly on plan. J So, I’ll share the deal with all of you since I can’t enjoy it. *Note that you are only allowed one print per computer/device so be sure and use another computer or phone to print the second coupon.